A mixed solvent based liquid cleaner, which is suitable for removing grease, oil, dirt and tarnish. 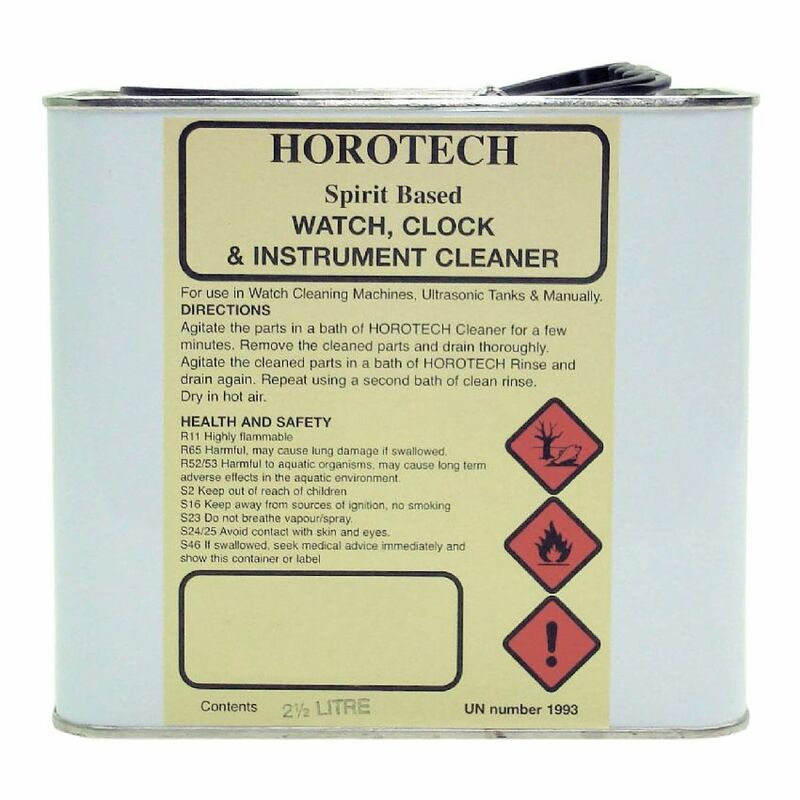 Agitate the parts in a bath of Horotech Cleaner for a few minutes. Remove the cleaned parts, and drain thoroughly. Agitate the cleaned parts in a bath of Horotech Rinse and drain again. Repeat, using a second bath of clean Rinse.